45 years since the legendary "Greasy Truckers Party" at the Roundhouse where Hawkwind recorded their No. 2 single "Silver Machine" single, which featured Motörhead's Lemmy on vocals, Hawkwind are back in 2017. Hawkwind were formed in 1969 by Dave Brock who still remains at the helm today. In 1970 the band played at the first ever Glastonbury Festival, released their eponymously titled debut album and created their own new music genre "Space Rock". Their 1972 "Space Ritual" Tour featured contributions from sci-fi author Michael Moorcock, poet Bob Calvert, designer Barney Bubbles and lighting engineer Liquid Len creating a truly multimedia experience. This has set the bar for every Hawkwind show since making each show since. Lemmy left to form Motörhead in 1975. Hawkwind have gone on to become a massively influential group and have released more than 50 albums. Their latest album "The Road To Utopia" was released just last year. They have just announced a highly anticipated upcoming headline date at Rock City in Nottingham on Friday 22nd of November 2019. 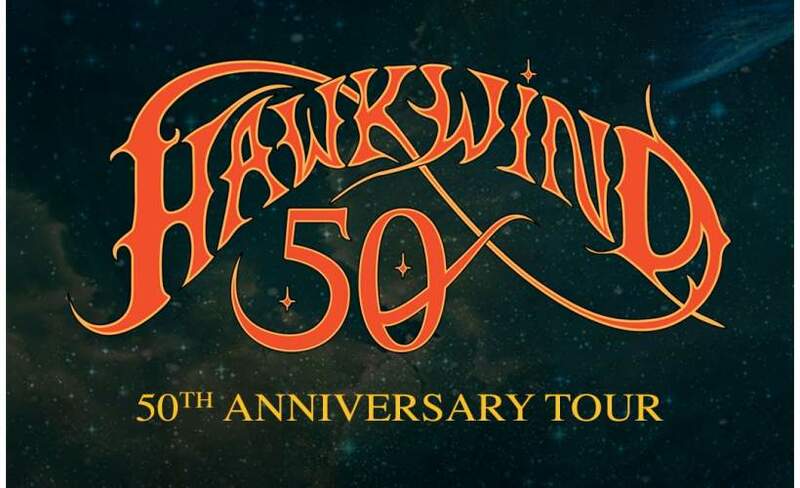 Subject to massive demand, make sure you book your Hawkwind tickets with Gigantic before they are all gone. Hawkwind gig tickets are expected to sell so quickly when they are released at 10:00 on Monday 18th of February. So, set a personal reminder right now to arrive to you via text message or email so you know when they become available through Gigantic. Having been working for over five decades, Hawkwind have released a stunning twenty nine studio albums whilst working under differing names, with their latest being The Machine Stops which came out in 2016. With only limited amounts of Hawkwind concert tickets available you will need to act fast and book yours before they are all gone. With both fantastic customer service and a wide range of essential gig tickets on offer, Gigantic is always your first choice towards and unforgettable experience.